It's that time of the year! Science fairs are popping up in schools all around the country, and kids are choosing their projects. 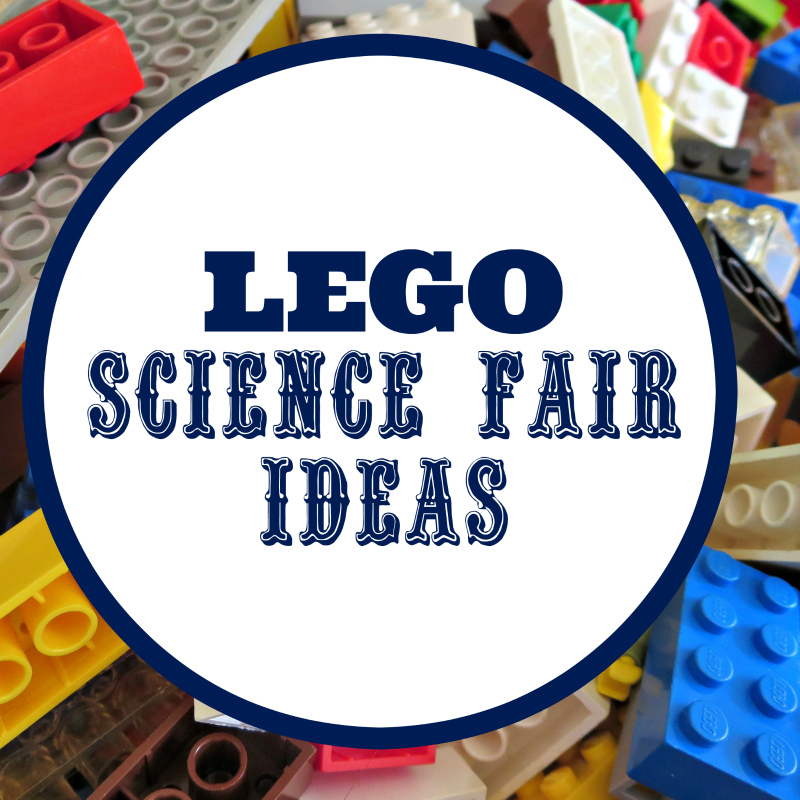 Today, I will share several science fair projects that your kids can do with some of their favorite building materials - LEGO bricks. Disclosure: I am an Amazon affiliate, and this post contains Amazon affiliate links. For full disclosure, please click here and thank you for supporting my blog! A science fair was a big deal in Smarty's elementary school, and all grades were encouraged to participate in it. In third grade, Smarty investigated bubble solutions. In fourth grade, she discovered how to fail her science fair project. For fifth grade, where science fair participation is mandatory and graded, she had a very interesting idea for her project. Since she ended up skipping fifth grade, I will share her idea here. Smarty's hypothesis was that kids are more creative than adults. To test her hypothesis, she was going to give at least 10 kids and 10 adults a set of LEGO bricks and see how many creations they can make in a set time (20 minutes). Her hypothesis is that kids will come up with more ideas than adults. I had to point out to her that she might be wrong if she chose adults who love LEGOs, just like her Dad. We had some interesting discussions about the difficulty of selecting subjects for experiments involving people. 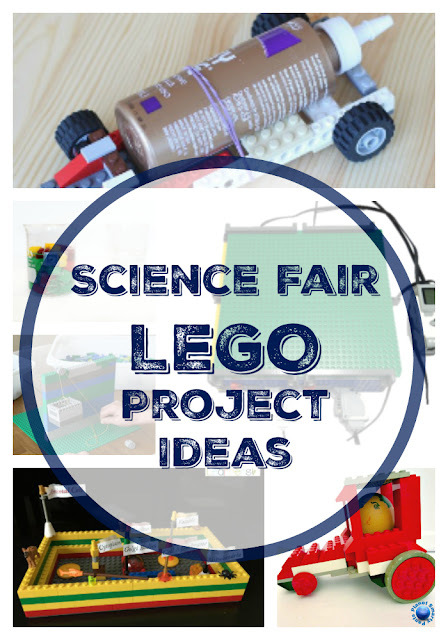 For experiments that don't involve people, here are some great LEGO science fair ideas divided into projects more suitable for kids under 10 and projects for older kids. 1. 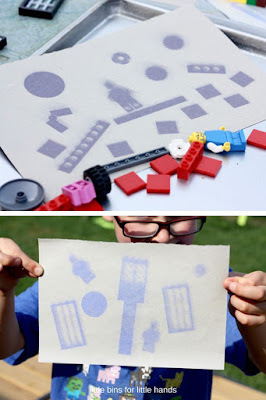 Investigate solar power and make sun prints with LEGO - project from Little Bins for Little Hands. Kids can either predict and measure time it takes to make prints or try different types of paper. 2. 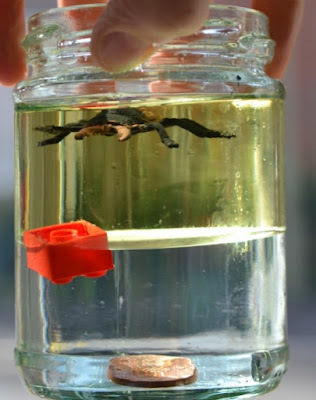 Excavate a LEGO mini figure out of an ice block - project from Lemon Lime Adventures. 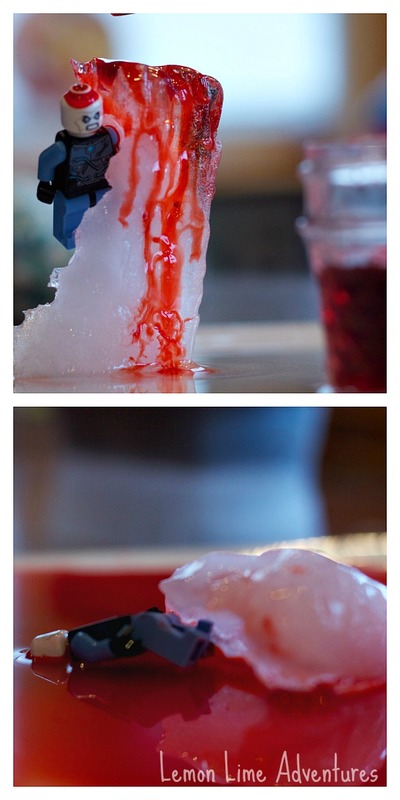 Make predictions and figure out which method melts the ice fastest. 3. 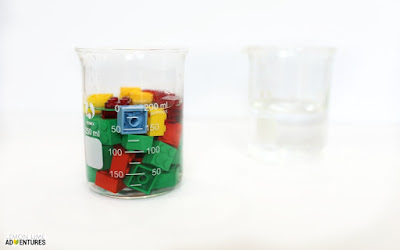 "Suspend" a LEGO block in liquid with a density column - project from Science Sparks. 5. 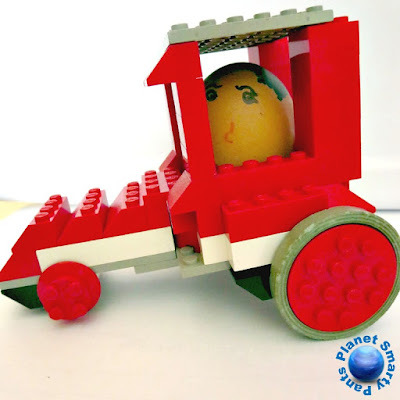 Try different designs to create LEGO Egg Racers - cars that can both go fast and keep their egg drivers safe. This is the project that we enjoyed a couple of years back.here on Planet Smarty Pants. 1. Build a LEGO chariot that always points south... without using any magnet! - a project from Gizmodo. 2. Experiment with air powered LEGO cars predicting how far they can go. Science Sparks has a balloon-powered LEGO car, and Frugal Fun for Boys and Girls has an "air-rocket" powered LEGO car. 3. Interested in biology? 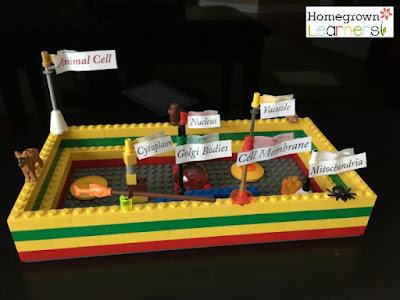 Soup up your animal cell presentations with a hands-on LEGO model of an animal cell. Project from Homegrown Learners. 4. How much weight can a LEGO pulley lift? 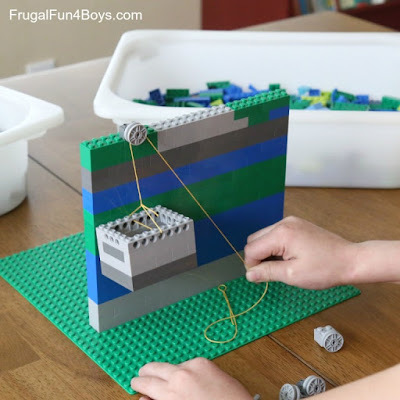 Can you construct a LEGO pulley that is able to lift a pound of weight? 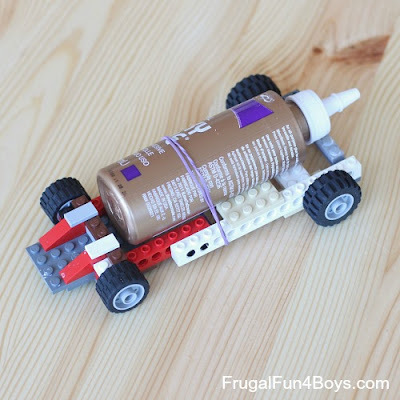 Project from Frugal Fun for Boys and Girls. 5. 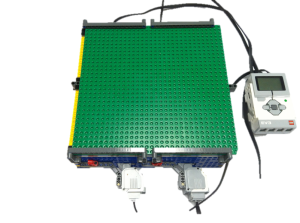 LEGO Engineering is a great site to check if you have a LEGO Mindstorms EV3 set. A great project for a science fair would be to test different structures for earthquake readiness by building a LEGO shake table. What kind of science fair projects did your kids try over years? 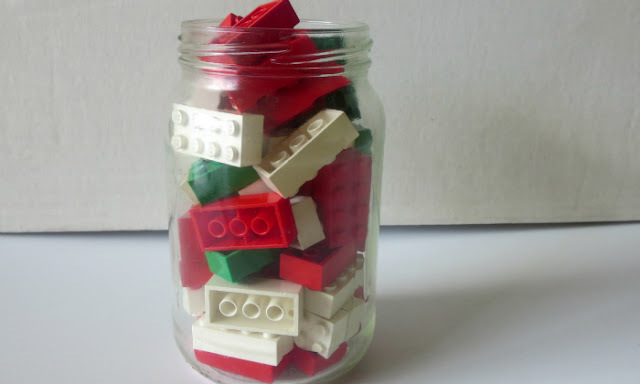 More LEGO ideas for kids? 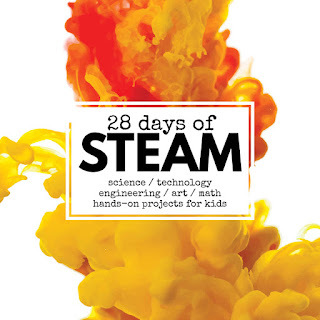 This post was written as part of collaborative 28 Days of STEAM project. Check out other great STEAM ideas on the landing page. So many great ideas here! This is precisely what I love about LEGO. Love this idea! Great way to get kids interested in science at a young age.